The Transit Connect or Ford Connect was introduced in 2002. 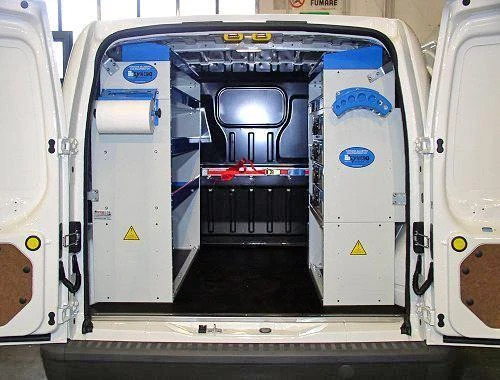 Other than the name, it shares few components with the Transit, it is anyway manufactured in the same production plant in Turkey. 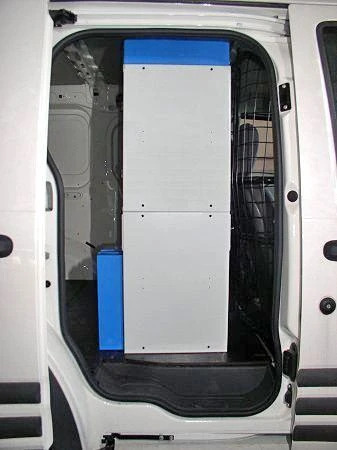 It is in fact a compact panel van of the same class of Berlingo or Doblò. 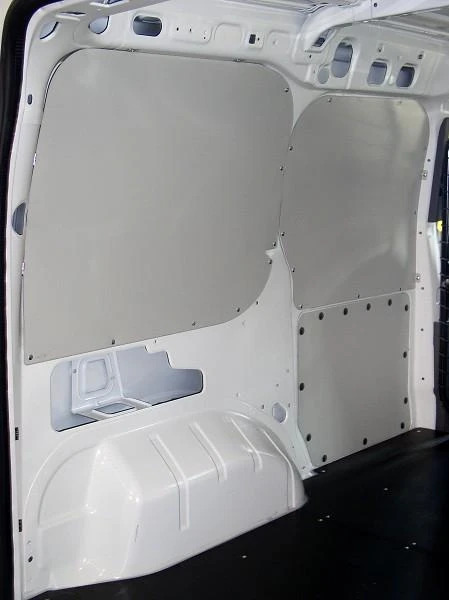 As all leisure activity vehicle it combines good driving features with a wide regular-shaped loading area. 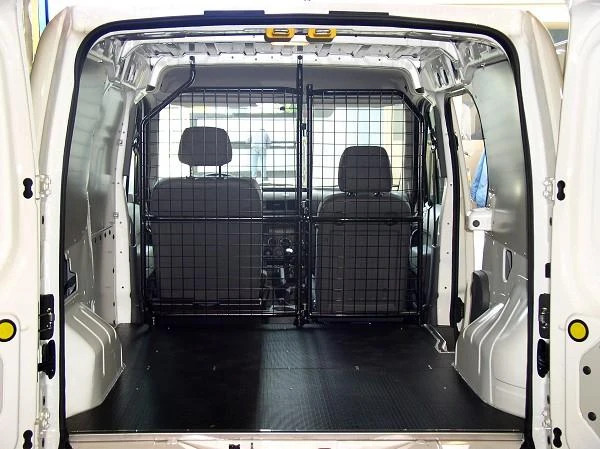 Different from other similar vans, it is available in two models: short wheelbase standard roof or long wheelbase high roof. The short wheelbase has a total length of 4,275 meters, whereas the long wheelbase is 25 cm. longer and 17 cm. higher for an increased loading volume, from 2,8 m3 to 3,7 m3. 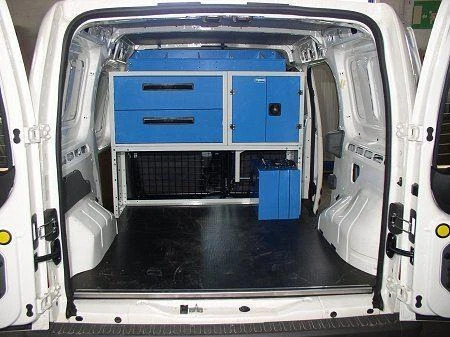 Syncro Group offers floors for Connect in marine laminated wood with resin coating or chequered aluminum, side lining for Connect, shelves, roof racks and ladder racks and many Syncro System van accessories. 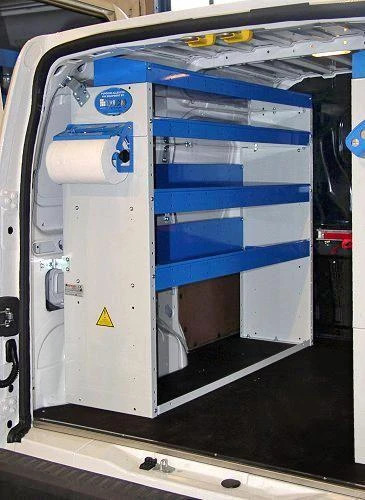 Great demand for under-floor drawer units for Connect, that retains a useful amount of space on the load deck. 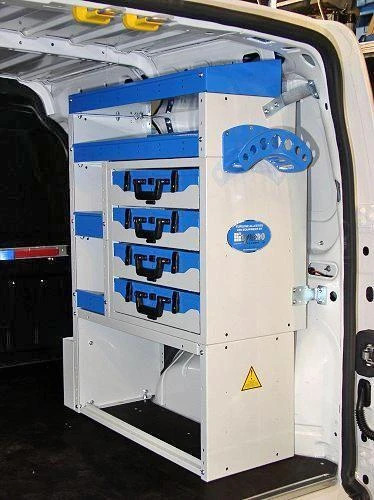 Here some other examples of van racking for Ford Connect. 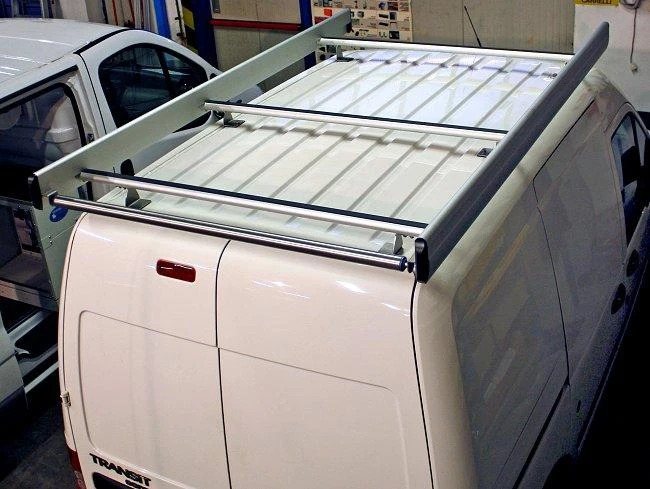 Floors in wood or aluminium, aluminium or steel side lining, wheelhouse covers, screens for windows and other vehicle accessories. 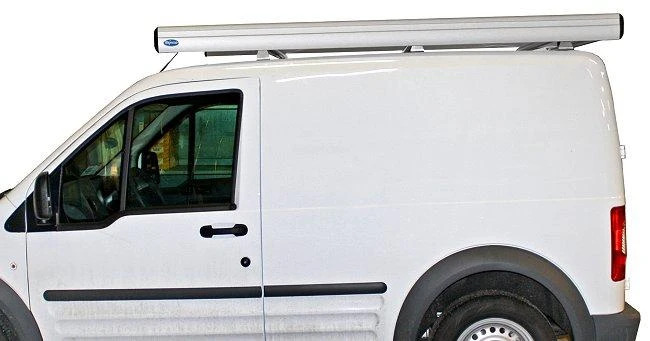 Syncro System produces a full range of roof and ladder racks for Connect. 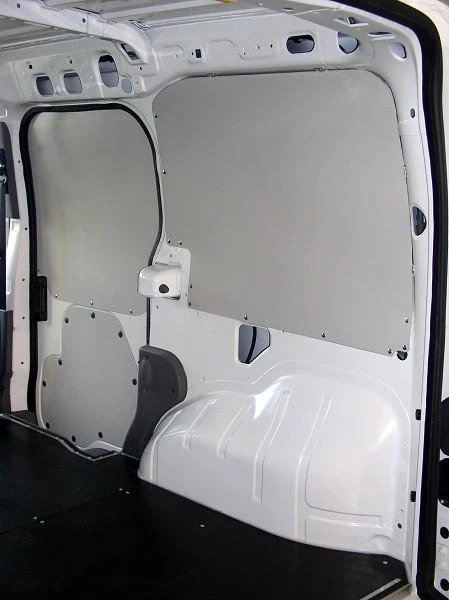 These are provided with the Ultrasilent bars, that minimize noise while driving.